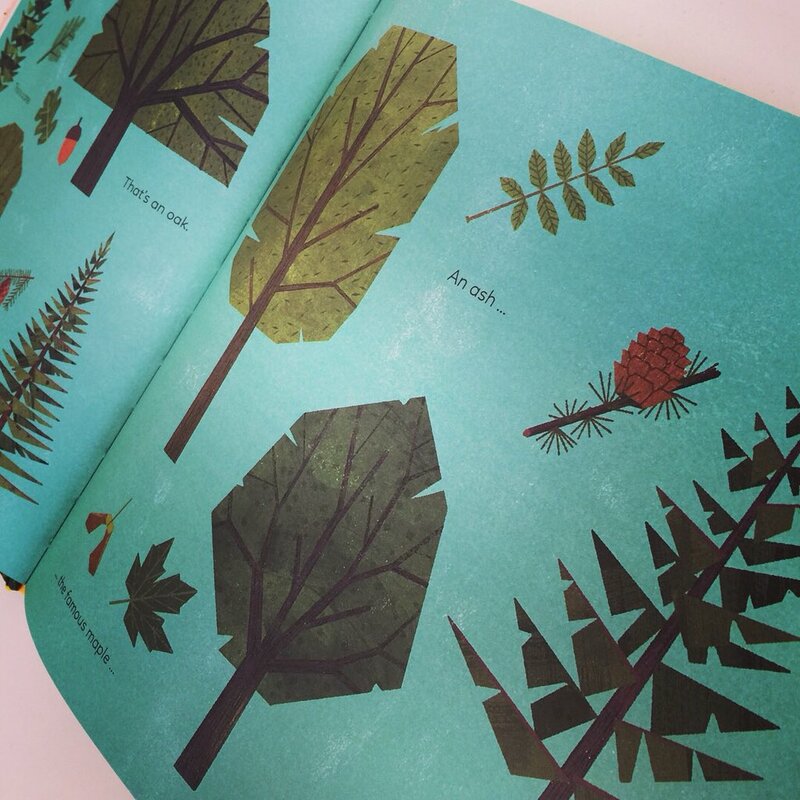 In this stunningly illustrated story we are introduced to Fox, who happens to be an avid botanist. 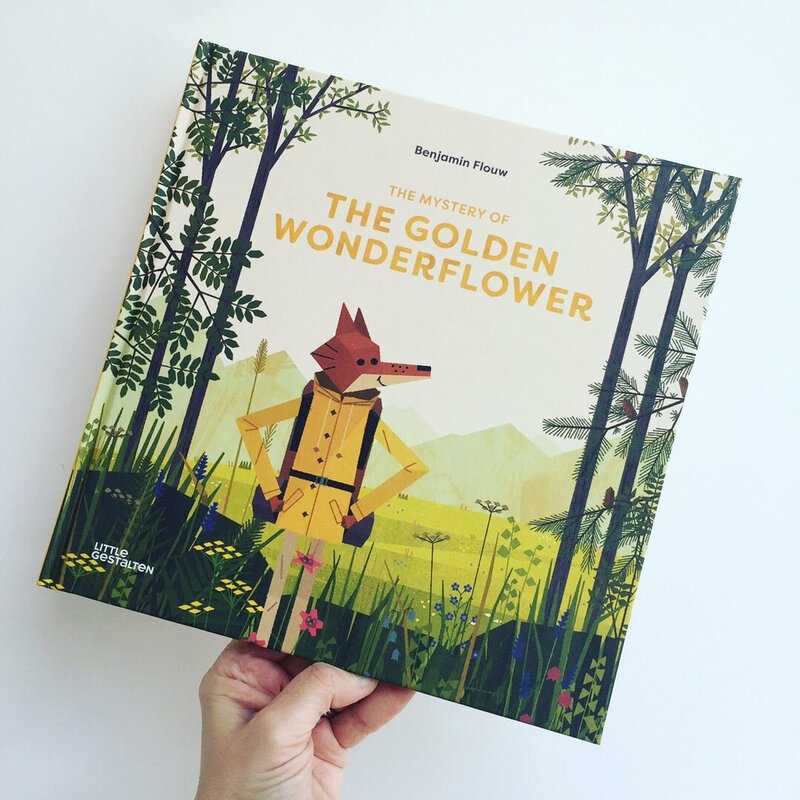 His love of the great outdoors and more specifically his love of plants, flowers and trees, draws him into a journey to discover the golden wonderflower. Little is known about this rare and mysterious flower and Fox is just the one to put this right. As he journeys through forests, meadows and mountains in search of this most precious plant, he encounters the stunning beauty of nature and a few familiar friends along the way. 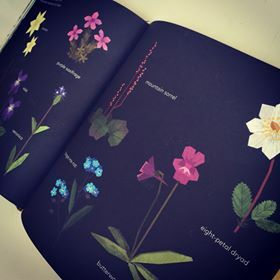 This nod to the environment and a gently unfurling introduction to the natural world will delight lovers of the great outdoors and perhaps prompt inquisitive young minds to learn more about the preciousness of nature. 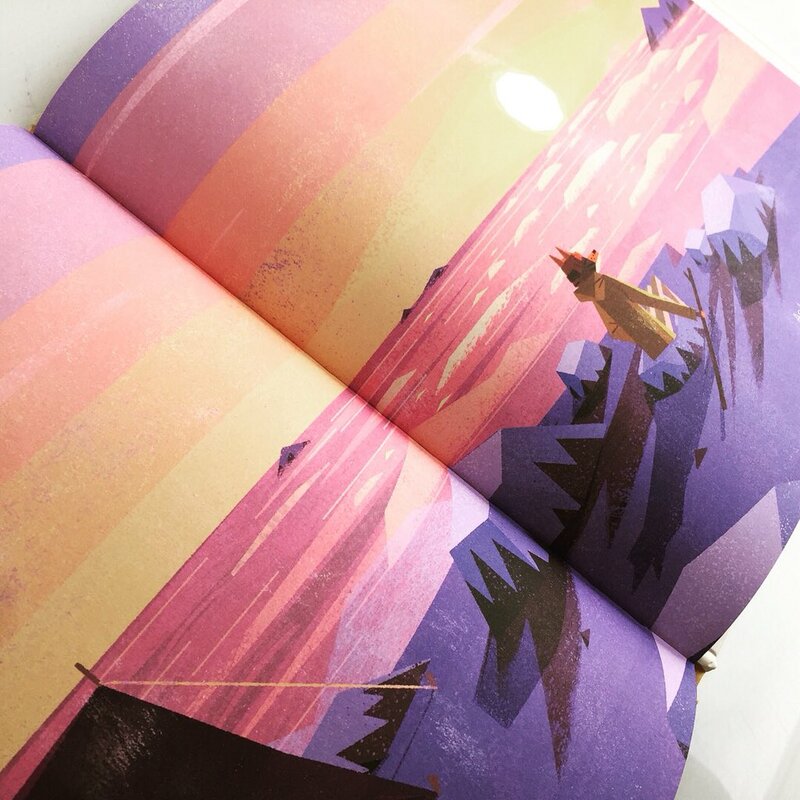 Benjamin Flouw provides a sumptuous journey through rolling meadows, undulating mountains and thick forests, using a considered and textured palette with striking angular illustrations. He delivers a powerful message about our environment by way of a series of glorious spreads and a limited but persuasive narrative. This is one to share with young and emerging readers to incite a love of our environment and a need to protect our fragile plant life. Delight in the natural wonders that lie in nature’s most remote corners and immerse yourself in Flouw‘s rich artwork, all the while drinking in the unspoiled areas of our glorious land. Sometimes it’s the simple things can bring us most pleasure.